Commercial HVAC units are the ultimate in energy-efficient heating and cooling systems. If are looking for a reliable method for distributing even heat throughout your commercial space, then a commercial HVAC unit just may be the answer you are looking for. If your commercial space is located in Ontario, then chances are you will be looking for a unit to deliver reliable heat all the way through the frigid Canadian winter. Even a short disruption in service can spell disaster for your business. Whether you are renting the commercial space out to tenants, or using it as an office for your business, you want to be able to keep your employees and clients comfortable and content all year round. For dependable and efficient commercial heating service in Mississauga, Toronto, and the surrounding GTA, Air In Motion Heating & Cooling is a perfect choice. 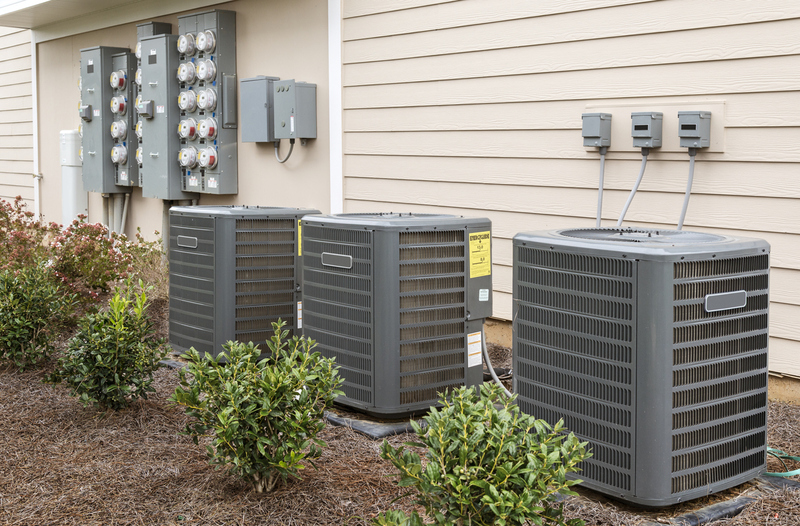 The professional HVAC technicians at Air In Motion can help you decide on the best commercial HVAC unit for your location, as well as handling all the installation, maintenance, and repair services. The experts at Air In Motion have been operating around the GTA for almost 20 years, and are passionate about exceptional customer service and superb results. Air In Motion consistently ranks highly on Home Stars and have won the Home Star Award for outstanding service 4 years in a row from 2015 to 2018. Why choose Air In Motion? There are many advantages to selecting Air In Motion for all your commercial heating service needs. Air In Motion offers a 2-hour turn around time for commercial heating service requests. An Air In Motion representative will get back to you within a 2-hour period during regular business hours to address your request. The commercial heating services offered at Air In Motion are not only practical and efficient, but also affordable. Several service plans are available to choose from. Air In Motion uses top of the line products and equipment to service all commercial heating needs. The HVAC technicians having been selected based on qualifications as well as experience in the industry. Air In Motion is fully insured to handle any commercial heating requests so you don’t have worry about unforeseen complications or expenses. All the HVAC technicians at Air In Motion are fully licensed gas fitting and refrigeration mechanics. The track record at Air In Motion speaks for itself, with almost 20 years of superior service in the industry and numerous awards to prove it. There are a multitude of great benefits to be had from a commercial HVAC heating unit. Commercial HVAC units are more efficient than traditional heating systems, which provides better air quality for the people in your commercial space. This increased efficiency also offers financial benefits in form of lower utility bills and increased employee productivity. A more efficient heating system is also better for the environment, cutting down on wasted energy and air pollution.